Friday’s aren’t supposed to be full of work. And this crazy game called basketball. But I guess I gotta keep working. This game makes her BG crash. So I’m here to keep her safe. Just don’t hit me with a ball. That’s not nice. 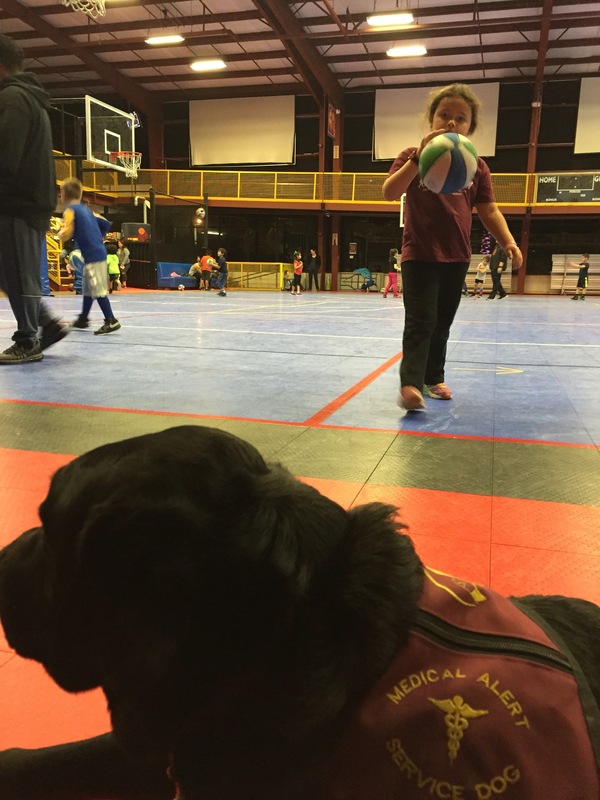 This entry was posted in Adventures, Lows and tagged basketball, diabetic alert dog. Bookmark the permalink.